For the first of my two goals for this month (since I didn’t do a goal in August) I decided to make pie crust. 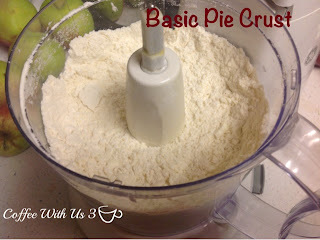 I know this seems simple, but I have always been a pie crust buyer. I don’t like to roll them out. But it’s so much less expensive to make your own and actually pretty easy. I didn’t roll it out in making it today. But I will for tomorrow’s post – Apple Empanadas. Cut butter into small pieces and place back in refrigerator. 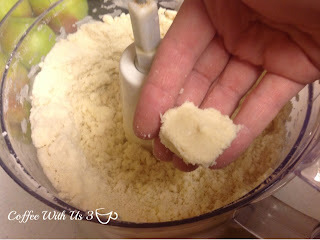 In a food processor, combine flour, sugar, & salt. Pulse to combine. Add butter, pulse until mixture is coarse and only a few pieces of butter are pea size. Slowly add ice water. If dough doesn’t stick together when pinched, add a little more water. 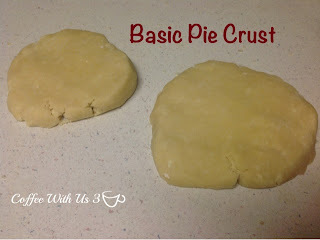 Dump dough out onto flat surface and press dough together to make a large lump. Divide into two lumps flatten into discs. Wrap in plastic wrap and place in refrigerator. If using right away, chill for at least an hour. This dough can be frozen up to 3 months. Tomorrow I will share rolling out the dough and making empanadas. Cut butter into small pieces and place back in refrigerator. In a food processor, combine flour, sugar, & salt. Pulse to combine. Add butter, pulse until mixture is coarse and only a few pieces of butter are pea size. Slowly add ice water. If dough doesn't stick together when pinched, add a little more water. 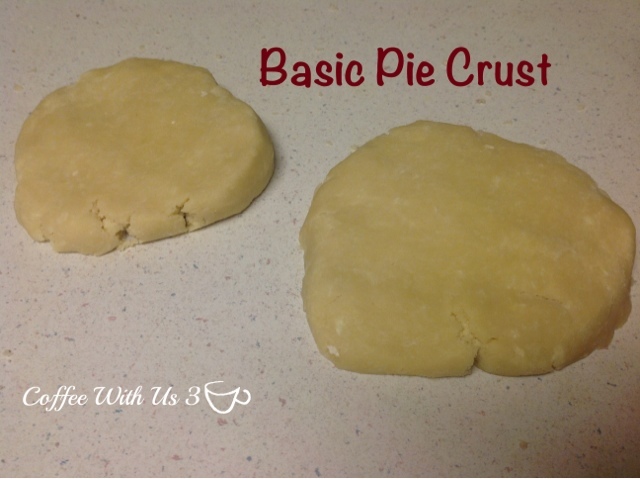 Dump dough out onto flat surface and press dough together to make a large lump. Divide into two lumps flatten into discs. Wrap in plastic wrap and place in refrigerator. If using right away, chill for at least an hour. This dough can be frozen up to 3 months.